Terumo Cardiovascular Group came to us for several reasons. 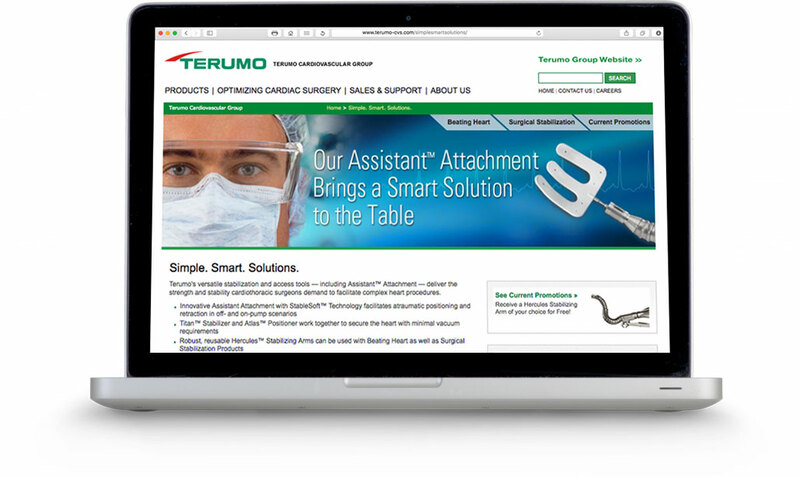 In addition to our team’s ability to understand and effectively communicate Terumo’s extremely complex and technical products, we have the agility and resources to meet their marketing requirements. 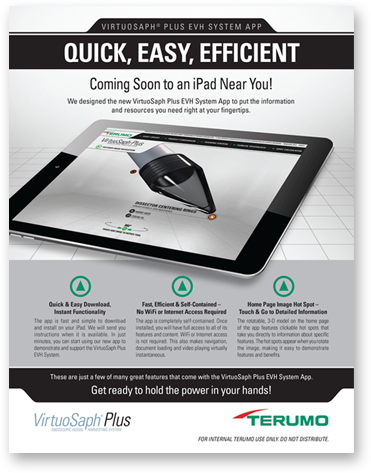 Many of Terumo’s products are so technical and complex that they pose unique communication challenges. 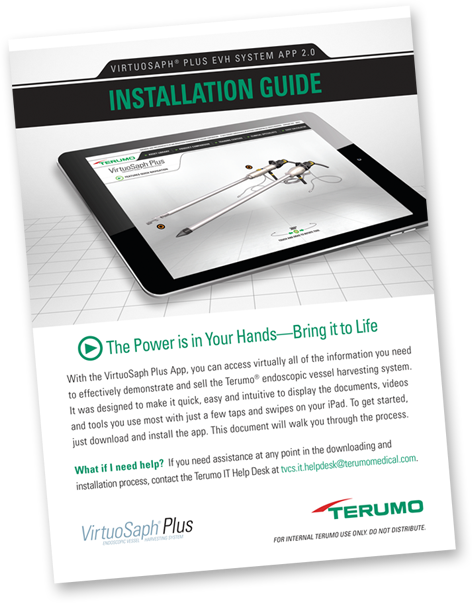 The Terumo VirtuoSaph® Plus, a medical device used in cardiac bypass surgery, is an excellent example. We created an app to assist in the sales process. 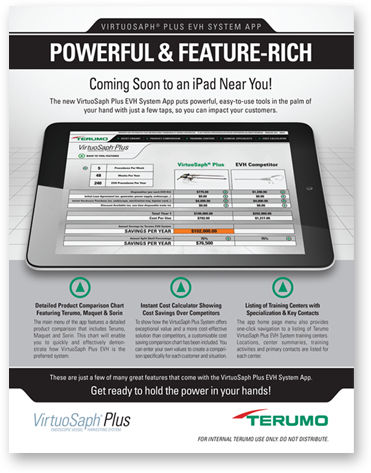 This innovative tool included a 360-degree rotatable 3-D product model, a library of videos and sales materials, product comparisons, a cost calculator and more. 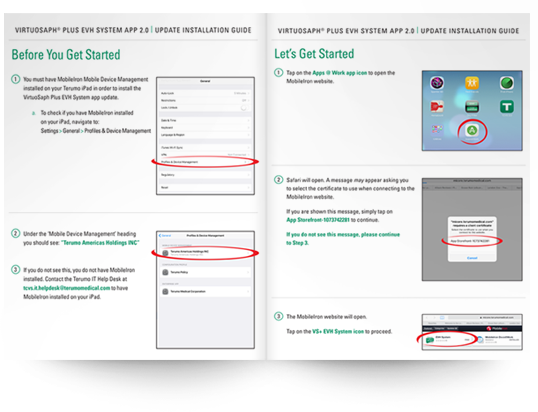 It made the VirtuoSaph Plus more understandable and sellable. 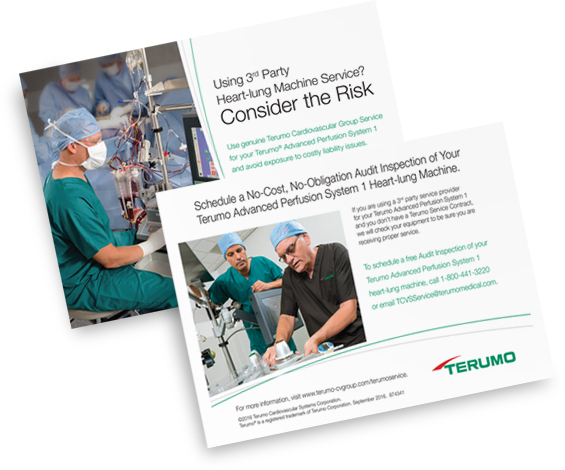 Terumo Cardiovascular Group has enlisted our help with a wide array of marketing needs over the past several years. 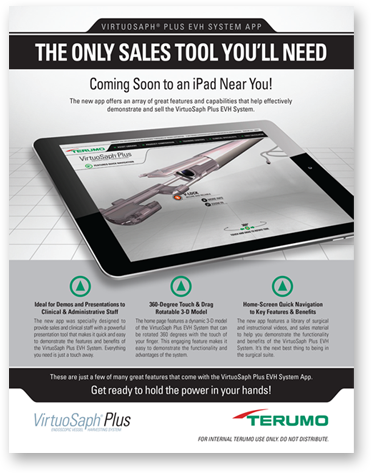 From brand development and sales and marketing campaigns to app and microsite development and more, we have worked in close partnership with the Terumo marketing and product management team. 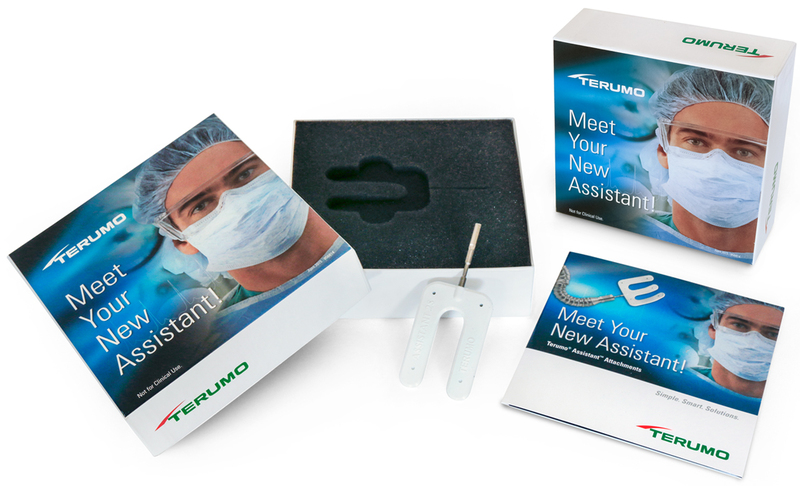 Terumo markets another highly innovative device that monitors blood gas parameters during open-heart surgery. To help customers fully understand and appreciate the optical fluorescence technology it employs, we developed a captivating animation that brings this unique process to life. From concept and creative through programming and production, we made it happen. 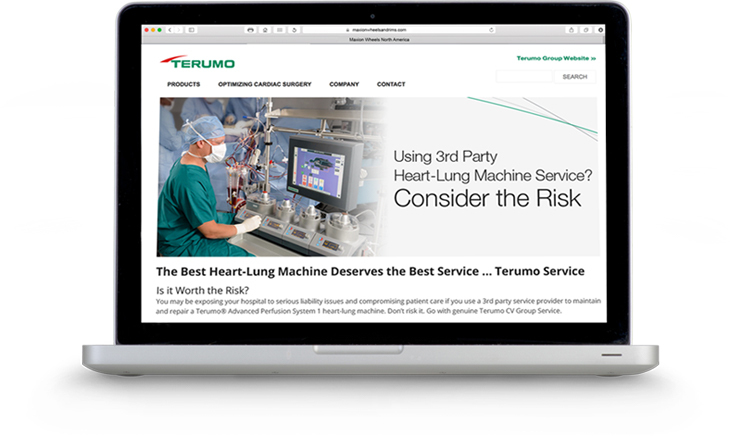 Creating advertisements that are engaging, credible and compelling for an audience of clinicians, physicians and hospital administrators is essential for Terumo. We must fully understand the technology, capabilities and benefits of numerous devices. We also have to know how to speak their audience’s language. 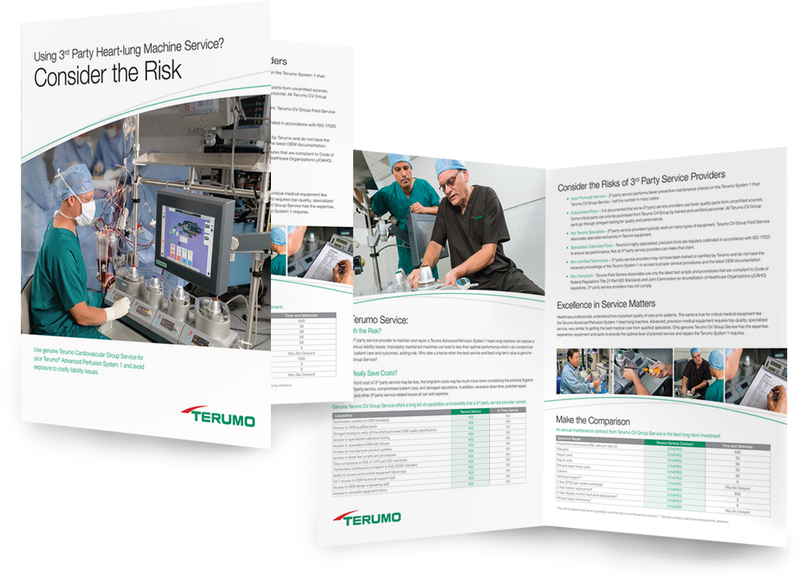 Our team can create effective concepts, messaging and designs for Terumo because we take the time to fully understand their products and their business.